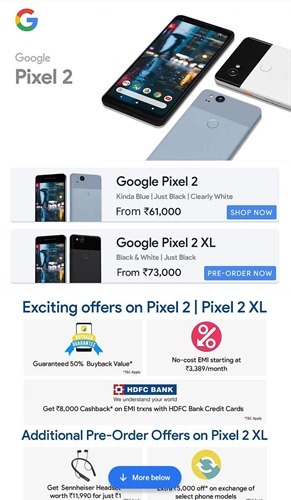 The latest Google phone, Pixel 2 and Pixel 2 XL are available for pre-Order on Reliance Jio and Flipkart. 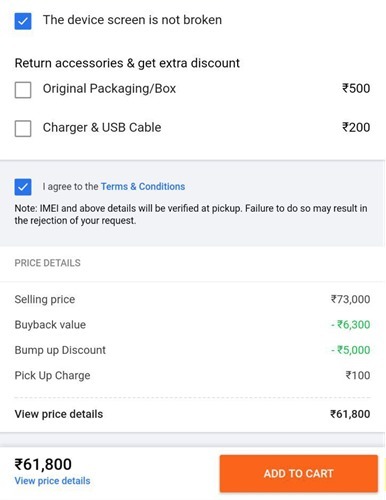 Pixel 2 XL will cost INR 73,000 and price of Pixel 2 is INR 61,000 There are some interesting offers available on them. 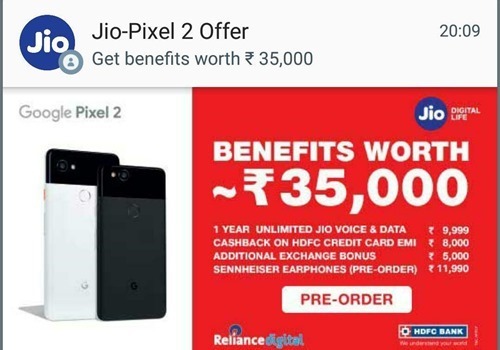 The offer for the Jio-Pixel 2 offer will start from October 27 2017 and shall remain valid till January 24 2018. You can claim a buyback offer upto 12,000 for your previous phone and an additional INR 5,000 too. Additional 5,000 will be available on selected phone models. Sennheiser CX 7.00BT bluetooth Headset with Mic worth INR 11,999 for INR 1. Pixel 2 and Pixel 2 XL have Qualcomm Snapdragon 835 processor, 4GB of RAM, while the Pixel 2 has a 5-inch OLED Full HD 1080p display, and the Pixel 2 XL has 6.0-inch Quad HD OLED display.